Carsten Niebuhr dressed and ate like the natives of the countries he passed through – as opposed to his travelling companions, who most likely tried to hold on to European sensibilities. Tagline: As a young man with a knack for cartography, Niebuhr was selected for the Danish king’s expedition to the “Arabia Felix”. After his travelling companions died in the early stages of the trip, he travelled alone throughout the Middle East, returning to give the world a much better understanding of the Arabian Peninsula. Claim to Fame: Literally writing the book on the “Happy Arabia”. Carsten Niebuhr was born in 1733, Niebuhr was originally planning to become a surveyor, but attended university instead. He caught the eye of an academic, who recommended him as a participant for the Danish king Frederick V’s Danish Arabia Expedition. The expedition set sail in January 1761, sailing first to Marseilles and Malta, before going to Istanbul and Alexandria. After arriving in Egypt, the expedition went to Cairo and to Sinai. Then they crossed the Red Sea and entered Mocha. And this is where the story turns a bit bleak. Cause this is where the first member of the expedition died on May 25th, 1763. A month and a half, the next member died on the way to Sana, the capital of Yemen. 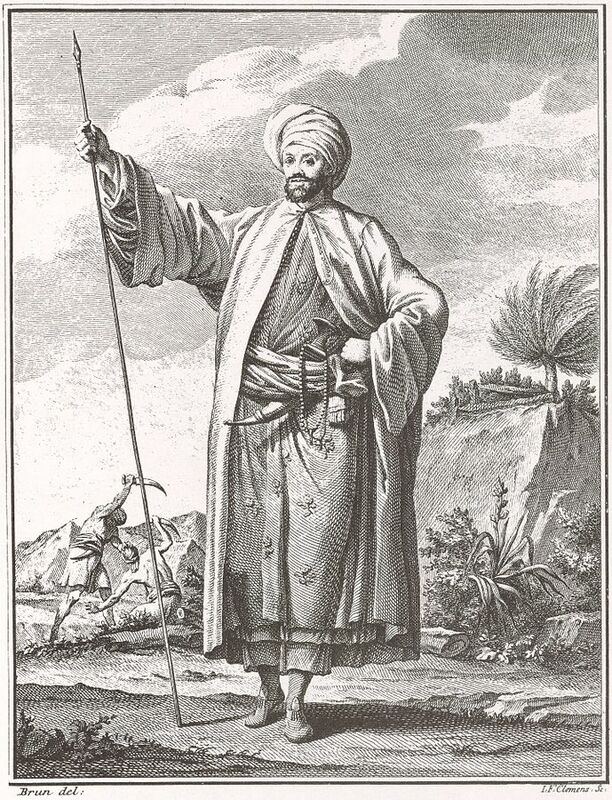 After an audience with the Imam of Yemen, the remains of the expedition set off to sea towards Bombay. On the 29th and 30th of August, two more members of the expedition died at sea. And finally, shortly after the ship landed in Bombay, the second-to-last member of the expedition died. Niebuhr was a cartographer and surveyor, and prepared maps of the places he visited. This one is of Yemen. Which left Niebuhr all alone. He spent 14 months in Bombay, before travelling home by land, visiting many countries and cities on his way. On his way, Niebuhr spoke to many, many of the local people he met. Not only that, he dressed like them, ate with them, and integrated himself with them to a large extent. And of course he brought home notes and samples of all kinds of things. Apparently, his drawings were essential to cracking the old Cuneiform script, and he is considered one of the founding fathers of Assyriology. I would posit that he can also be considered a founding father of ethnography. He was a keen observer of people, and understood to describe them more or less on their own terms. How would I use him: Niebuhr is a stellar example of an explorer. He goes around, meets people, has adventures, and reports it all to his home. Use him as a mold for a fantasy game about bold adventurers – or maybe try moving him into space. The whole expedition also offers a great opportunity for a story of intrigue and politics on an expedition. There was a lot of drama connected with the beginning of the expedition, which I don’t have time to go into – and while it’s not such a mystery why so many of Niebuhr’s travelling companions died (they were ill adjusted to the climate, and didn’t have resistance to the many tropical diseases they encountered), it would be easy to make a mystery out of their deaths.